[cs_content][cs_section parallax=”false” style=”margin: 0px;padding: 10px 0px 0px;”][cs_row inner_container=”false” marginless_columns=”false” style=”margin: 0px auto;padding: 0px;”][cs_column fade=”false” fade_animation=”in” fade_animation_offset=”45px” fade_duration=”750″ type=”1/1″ style=”padding: 0px;”][cs_text]Mohr Partners, Inc., a global corporate real estate advisory firm, has appointed Ian Ducharme and Steve Perkins as Associates in the Seattle office. Mr. Ducharme’s primary focus is cultivating new business opportunities within the Puget Sound industrial market while pursuing clients with national real estate portfolios for which Mohr can create cost savings and operational efficiencies. 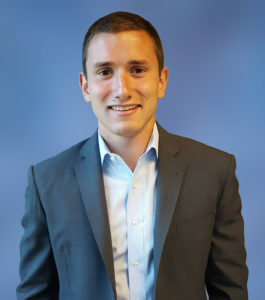 His prior experience with the negotiation and completion of lease transactions from both the landlord and tenant’s perspective gives him a unique outlook and understanding of commercial real estate transactions. Mr. Ducharme will work under the supervision of Eric Leland, Managing Principal. Mr. Ducharme worked as an Associate Broker at Colliers International prior to joining the Mohr Partners team. 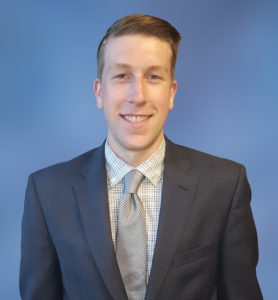 Mr. Ducharme is licensed in the State of Washington, and graduated from the University of Colorado Boulder where he studied Political Science. “Mr. Perkin’s primary focus is providing office tenants with advisory and consultative services to enhance and compliment their corporate real estate portfolio needs. His experience in the research and analysis of Seattle’s sub-markets will prove to be an invaluable asset to his clients. Mr. Perkins will work under the supervision of Eric Blohm, Managing Principal. Prior to joining Mohr Partners, Mr. Perkins worked in Business Development for Flinn Ferguson. Mr. Perkins graduated from the University of Washington, and is licensed in the State of Washington.